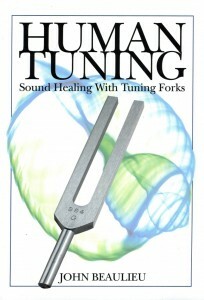 Human Tuning: Sound Healing with Tuning Forks is the groundbreaking new book from Dr. John Beaulieu, answering all of your questions about sound healing and integrates science, sound, and spirituality. Our bodies can be tuned like musical instruments. When they are properly tuned we have a sense of well being and perfect self-expression.